The Department of State Security DSS have arrested a notorious member of the Boko Haram terrorists, Khalid AL-Barnawi, alias Kafuri/ Naziru/ Alhaji Yahaya/Mallam Dauda/Alhaji Tanimu. 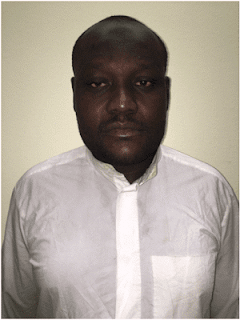 A statement by the spokesman for the DSS, Tony Opuiyo‎, says Khalid AL-Barnawi was apprehended on April 1st in Lokoja, Kogi State, while hiding under a false cover. AL-BARNAWI was a founding member of the Jama’at Ahl as-Sunnah lid Da’wah Wa’l-Jihad (Boko Haram) and later the Amir of the break-away faction, Jama’at Ansarul Muslimim Fi Biladi Sudan (JAMBS). Khalid AL-BARNAWI is a trained terrorist commander, who has been coordinating terrorist activities in Nigeria, while talent-spotting and recruiting vulnerable young and able Nigerians for terrorist training by Al-Qaeda in the Islamic Maghreb (AQIM) in North African States and the Middle-East. He was involved in many terrorist attacks in States of the Federation, including Bauchi, Kaduna, Kano, Katsina, Kebbi, Kogi, Sokoto and FCT-Abuja. This resulted in the killing and maiming of innocent citizens of this Country. ALBARNAWI is also responsible for the bombing of the United Nations building in Abuja, on 26th August, 2011; the kidnapping of two European civil engineers in Kebbi State in May, 2011, and their subsequent murder in Sokoto State; the kidnap of a German engineer, Edgar RAUPACH in January, 2012, the kidnap and murder of seven expatriate staff of Setraco Construction Company at Jama’are, in Bauchi State in February, 2013, the attack of Nigerian troops at Okene in Kogi State, while on transit to Abuja for an official assignment. He would soon be charged to Court to face his charges after investigation is completed. In another development, the Service has uncovered the heinous role played by members of the Indigenous Peoples of Biafra (IPOB), in the abduction/kidnap of five Hausa-Fulani residents, namely Mohammed GAINAKO, Ibrahim MOHAMMED, Idris YAKUBU, and Isa Mohammed RAGO at Isuikwuato LGA in Abia State. The abducted men were later discovered at the Umuanyi forest, Abia State, where they were suspected to have been killed by their abductors and buried in shallow graves, amidst fifty (50) other shallow graves of unidentified persons. Arrest and investigation conducted so far, revealed that elements within the IPOB, carried out this dastardly action. It is pertinent therefore to alert the general public that IPOB, is gradually showing its true divisive colour and objectives, while steadily embarking on gruesome actions in a bid to ignite ethnic terrorism and mistrust amongst non-indigenes in the South-East region and other parts of the country. Following this act, tension is currently rife among communal stakeholders in the State with possibilities of spillover to other parts of country.